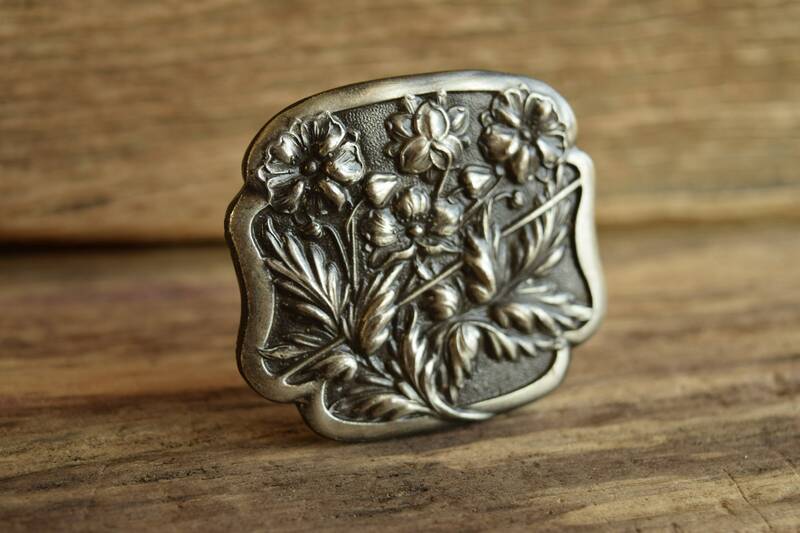 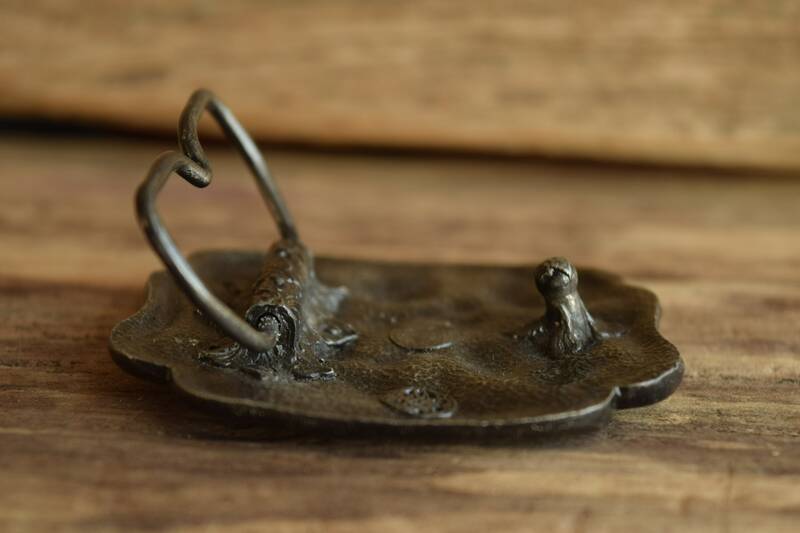 This beautiful Bergamot Brass Works belt buckle features an elegant raised floral design. 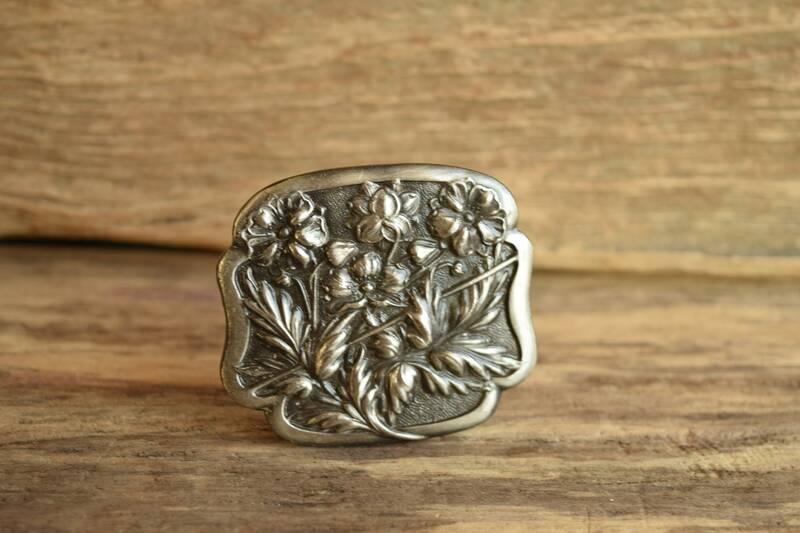 It is a heavy cast design and comes ready to fit your old school belt for a truly bohemian look. 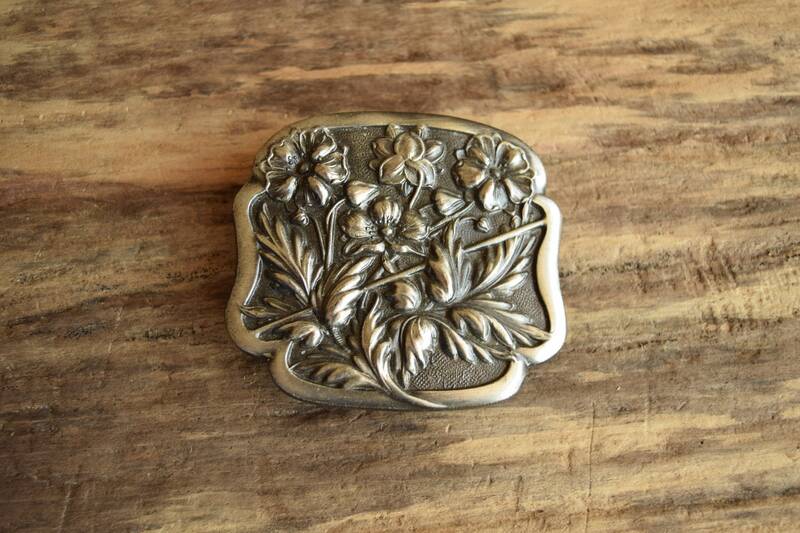 Condition: Good to great vintage condition. 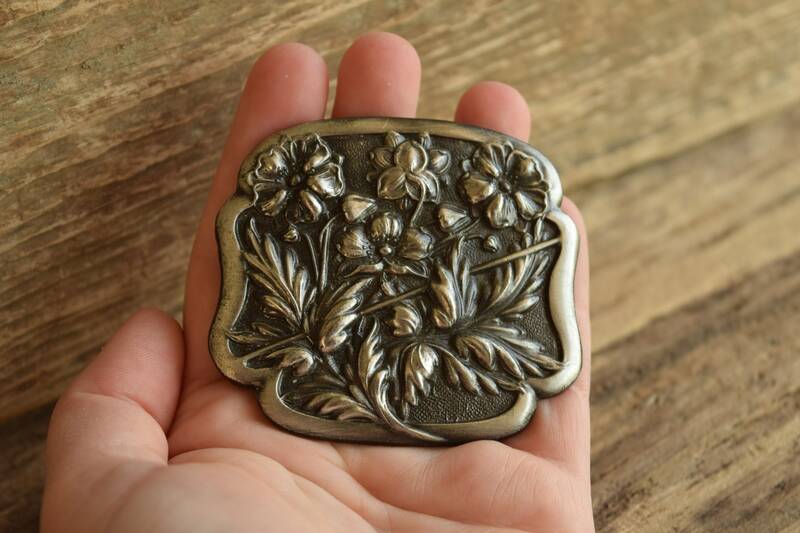 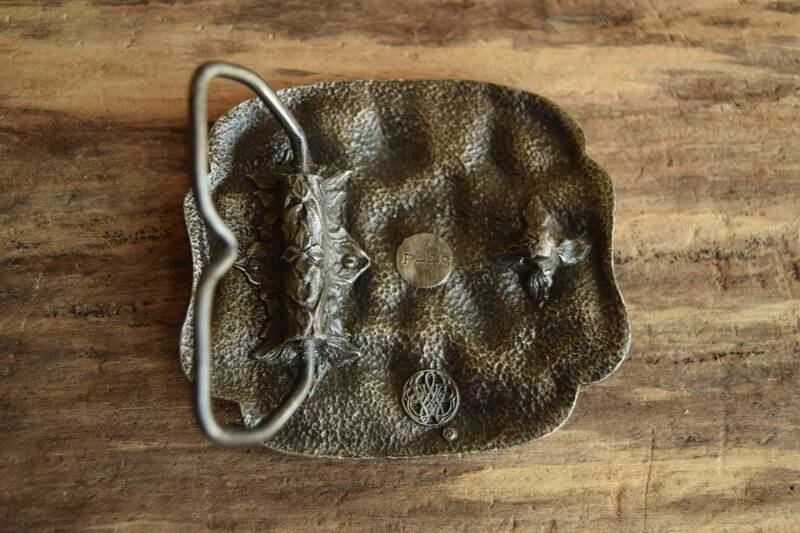 Previously owned, this belt buckle does feature minor surface wear consistent with age and use.